AN ANCIENT STAR MAP FEATURED IN THE GOLDEN TEMPLE AT THE CENTRE OF THE UNIVERSE IDENTIFIES A SECRET ASTRONOMICAL OBSERVATORY HIDDEN ON A REMOTE MOUNTAIN TOP IN DEEPEST SOUTH AMERICA. THIS STORY RECOUNTS MY ADVENTURES GETTING THERE AND HOW I ALMOST DIED TRYING TO DIG UP A LOST MYSTICAL ARTEFACT SAID TO OFFER INITIATED USERS A BROADBAND CONNECTION WITH THE GODS. This is the first of a series of articles recounting my explorations in deepest Peru searching for the Inca’s legendary Golden Sun Disk. But before we begin the outdoor adventure, this introductory piece examines some of the other artefacts and iconography associated to the disk to give us a better understanding of how the Incas viewed the universe. 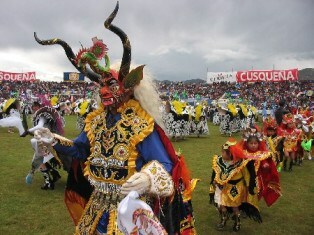 Cuzco is the ancient capital of the Inca Empire, and its Temple of the Sun was regarded as the centre of the universe. In 2012 NBC Universal commissioned me to put together a team of historians and documentarians to investigate the disappearance of the Inca’s legendary Golden Sun Disk which was kept in the Temple of the Sun within the Qorikancha (Coricancha) religious complex in Cuzco, Peru. Known as the ‘navel of the Earth’ the ancient city of Cuzco was the historic capital of the Inca Empire and the disk, which sat at the most sacred part of the Temple vanished just before the Spanish invaded in the 16th century. When Spanish conquistador Francisco Pizarro led the Spanish forces in the Christianisation of Peru, he was meticulous in his record keeping and kept a highly detailed treasure inventory, in which he recorded having sent Martin Bueno to ‘transport the gold and silver from the Coricancha Temple of the Sun, to Cajamarca in the north,’ where the Spanish HQ was located. The Inca regarded the Coricancha religious complex as the centre of the known world and and their entire empire was controlled by the priests within it. The Temple of the Sun was not only the most sacred site (huaca) in the Inca Empire, but it was considered the very centre of the Andean world. 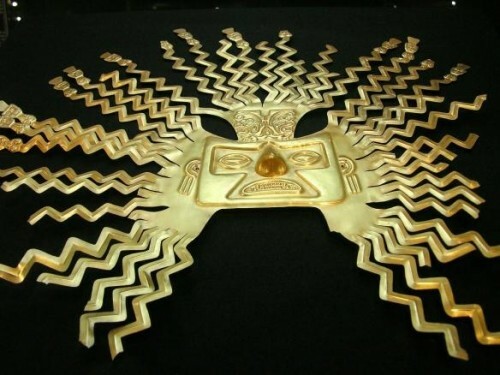 Also known as the ‘Golden Enclosure’ it was dedicated to the creator god Viracocha, the sun god Inti and the moon goddess Quilla (Mama Killa). The Temple of the Sun was the most important building within the religious complex and both its interior and exterior walls were plated with “700 half-metre square sheets of pure gold, each weighing 2 kg” – considered the sperm of the sun. Christian forces under Pizarros’ command prised every single panel of gold from the walls and transported them back to Cajamarca. The Sun god Inti emanating 41 cekes from the Coracancha Temple into the Inca empire. 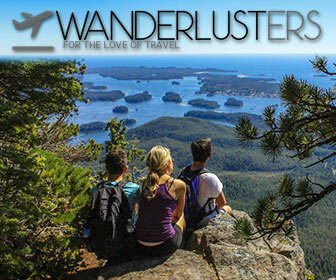 Original image by Andrew Howe. 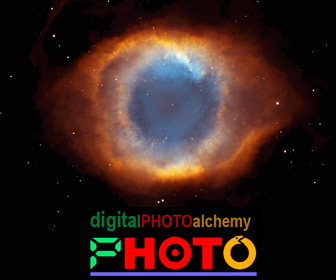 Uploaded by Mark Cartwright, published on 07 March 2014 under the following license: Creative Commons: Attribution-NonCommercial-ShareAlike. Spanish records detail that inside the Temple of the Sun they discovered hoards of golden artefacts used for worshiping the sun god Inti, for example; a giant golden mask was recovered from a specially dedicated chamber featuring a spread of 41 zig-zag rays growing outwards from its head representing the 41 ceques/ceke lines which extend from the Temple of the Sun across the entire Inca territory. The work of Tom Zuidema and Brian Bauer (UT-Austin) explores the range of debate over their usage and significance. IN THE WEST, SUCH LINES ARE OFTEN CALLED LEY LINES OR AXIATONAL LINES. I SHOULD RACE TO ADD THAT WHETHER YOU BELIEVE IN SUCH THINGS OR NOT, THE INCAS CERTAINLY DID. 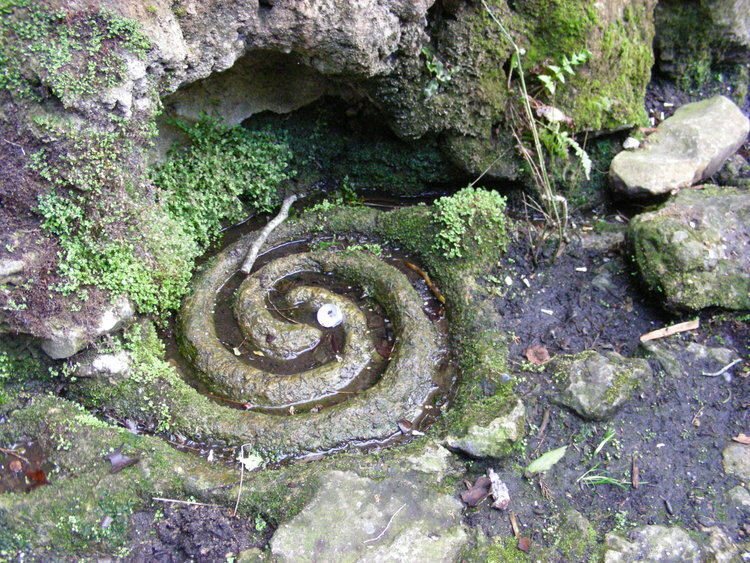 Spirals symbols were often carved in rocks where problematic energies required controlling. This example is carved into White Spring in Glastonbury, England. According to Inca ceke line dynamics, spiritual/magical locations manifested where geomagnetic anomalies occurred on the Earth’s surface. Where the energy flows of two or more ceke lines met, an energetic whirlpool was believed to have formed which were subsequently marked by an apaches – conical piles of stones believed to harness and divert the uncontrolled energy caused by the collision of energy lines, effectively stopping it from spilling onto the landscapes and causing chaos with local weather cycles, crops and animals, not to mention the well being of the people. Researchers across Europe who delve into landscape alignments approach them from a verity of different angles. At University level, professors of Archeoastronomy study alignments to and from ancient buildings and ceremonial monuments associating their underlying geometries with the positions of stars and planets on the horizon, on significant dates. Academics also often interpret these lines in the landscape in terms of architectural and cartographic sighting and orientation lines. The Becker-Hagens Planetary Grid System was among the first of the pseudo-scientific Earth grids at the beginning of the New Age movement in the early nineteen eighties. But most often, they feature on low resolution maps on websites with flashing green text where they are referred to as ‘global energy lines/grids’ and/or ‘chakra systems’ and they are most often presented as “spiritual energy lines” which ‘plug into’ a global system of alignments between distant locations, originally set up by either a lost race of humans possessing high-technology or otherworldly visitors. The Incas on the other hand, had an entire body of knowledge, rules and regulations associated to their lines of energy and they were grouped into three distinct types: Kollana, payan and kayao: each of which had an entire set of principals teaching how to first access, then alter, the energy flow of a ceke line. The lines were laid out to express the cosmology of the culture and were sometimes aligned astronomically to various stellar risings and settings. These pertained to seasonal ceremonies and time keeping (for the purposes of agriculture and ceremony and record keeping). These ceke lines bear significant resemblance to the processional lines among the Maya in Mexico and the Muisca people in Colombia. CEKES WERE INTERWOVEN WITH INCA MYTHS AND LEGENDS, ASTRONOMICAL OBSERVATIONS, CARTOGRAPHIC SIGHT LINES, ARCHITECTURAL ALIGNMENTS, ICONOGRAPHY AND THE SOCIAL AND GEOGRAPHICAL CONDITION OF THE ENTIRE INCA EMPIRE. The 41 cekes which emanated from the Temple of the Sun unite 328 individual huacas (sacred sites) located at distant places across the Inca Empire. In a demonstration of how the inca’s reflected occurrences in the sky on the landscape, 328 is the number of days in 12 lunar months (12 x 27.3 days = 328 days). Ceke lines, and the huacas situated along their length, were protected and maintained by the ruling family or clan in each region. Ceke line management procedures were usually undertaken by older people who being free of agricultural and fishing duties had time on their hands. They made offerings and sacrifices at the huacas when appropriate in coordination with the ritual calendars. The network of Inca elders, who each maintained a particular local ceke and huaca, was an oral library of thousands of years of ancestral knowledge which was systematically destroyed in the name of God, when the Spanish invaded. 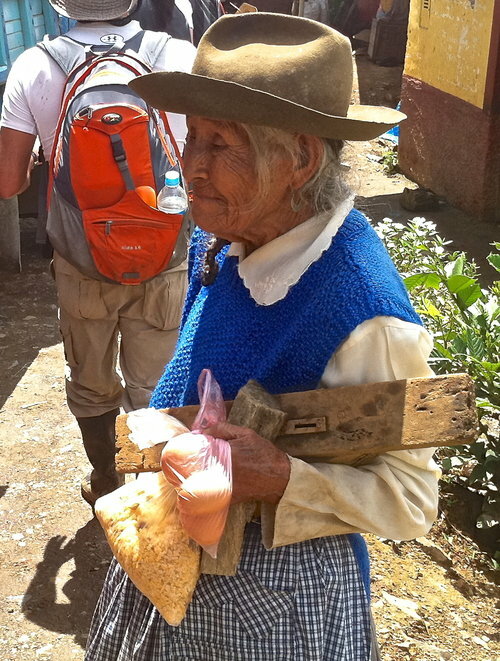 I met this ceke controller on a farm outside Cuzco, she was 98 years old and as fit as a fiddle. Where the 41 ceke lines entered the Coracancha Temple groups of seven priests, in deep trances, monitored the influx of energy emanating to and from the Temple, perceiving that they were tapping into and controlling the spiritual state of the people in distant territories. I suppose if you have a nation of people with a controlled worldview, whether its worshiping an imaginary teapot circling the sun, or believing in telluric energy lines emanating from a Temple into the surrounding landscape, you have a high degree of social control at your fingertips. THE 41 CEKE LINES THAT FED INTO THE CENTRE OF THE TEMPLE OF THE SUN FROM EVERY CORNER OF THE INCA EMPIRE CONVERGED UPON THE GOLDEN SUN DISK. Reported to having been six or seven feet in diameter it was said to have been forged from a “rare translucent gold” which originated in the heavens and given to the the Incas as a gift from the creator god Viracocha. 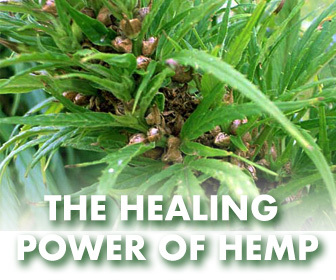 Believed to have had the power to heal all ailments, cause earthquakes and it was used by the highest ranking Shamans as a spiritual portal for traveling to the most divine levels of the universe. Every year on the summer solstice a festival in honour of the sun god Inti is held in Cuzco where a Shaman, representing the sun, is carried along the most important ceke lines. Some time before Pizzaro’s forces seized the Coricancha Temple the Golden Sun Disc was removed and hidden elsewhere in the Inca Empire. To help me understand where the Inca’s might have hidden the disk I met a leading Peruvian archeologist, Dr. Maria Silva Robles, who offered a wealth of knowledge about the usage and movements of the disc. A local tradition in Cuzco tells that shortly before the Spanish invaded Cuzco the disc was taken “back to the sun” by the-powerful Inca leader, Manco Inca. 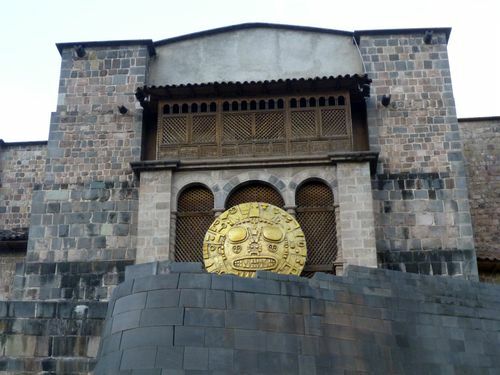 Replica of the Golden Sun Disk on display outside the Coracancha Temple, used in modern day festivals in Cuzco. In Andean cosmovision the disc originated in the sky. Considering this origin myth I reasoned that it would most probably have been hidden at one of the more remote, and higher locations in the ancient Inca world, where the Spanish troops couldn’t ride their horses. Only a handful of locations in Peru were inaccessible to the Spaniards and would have been safe to have hidden the disk from their greedy jowls. Later that week I was to follow a trail of golden breadcrumbs several hundred miles north of Cuzco, where I led an expedition of 40 people across one of the most sacred, inaccessible and challenging of all the Inca landscapes. At the top of a sacred mountain at an elevation of 13’000 feet, shadowing Machu Pichu, we explored a complex of secret astronomical buildings several hundreds of miles off the tourist trail. But before this adventure begins, we must learn a little more about how the Inca’s viewed the universe. Andean Cosmovision is a term that describes how ancient Andean people viewed space and time, and how they ritualised these concepts. 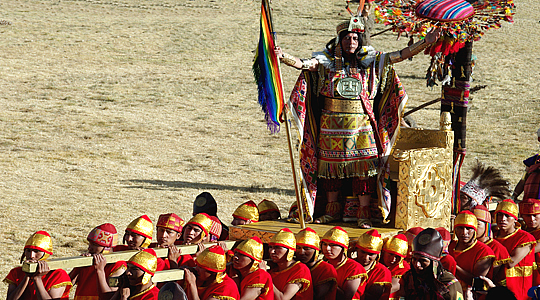 The Inca cosmovision was built upon an ancient body of knowledge preserving the worldview of the Tawantinsuyu people. Albeit the Spanish violently installed Christianity in Peru in the 16th century, what is born in the blood cannot be driven out of the bone, and Andean cosmology is still found in the philosophies, creative works and traditions of modern Andean people. Andean cosmovision is fundamentally different than that of Western culture primarily because their reality models were not influenced by the Bible in which a single creator, who stands outside of the creation, made humans in His own image. And there was no influence by Greek philosophers who worshiped human intellect as the highest form of knowledge. We make sense of new things by relating them to what we already know. This means that when we study alternative cosmovisions, one experiences a great temptation to place foreign symbols and iconography into one of our own two fundamental conceptual categories – science or religion. The indigenous Andean culture does not share either of these two western constructs, evident in that no ancient Andean words exist for either science or religion. Western cosmology is self-centric where one perceives the universe as consisting of isolated objects and our consciousness is centred upon, and limited to, our own being. In it’s essence the Andean Cosmovision is mystical and therefore words and beliefs are considered as being connect directly with sacred and most essential levels of reality. EVERYTHING IN THE ANDEAN UNIVERSE WAS SEEN AS A CONSCIOUS FILAMENT OF ENERGY IN AN INTERCONNECTED, UNESCAPABLE THREE DIMENSIONAL WEB. At the places where filaments met, nodes were formed, which were experienced as objects in this reality. You are a node, as am I a node, as is your car, your coffee mug and the screen you are reading this article on. Everything in the universe had a nodal arrangement and the most important collection of nodes was the Pachamama (the great bundle of filaments), the incredible spiritual Being, who is the Cosmic mother – the planet earth. But it must be understood that to the Incas, Pachamama was not a great spiritual being who resided within the earth, she was the great spiritual being who was the earth. 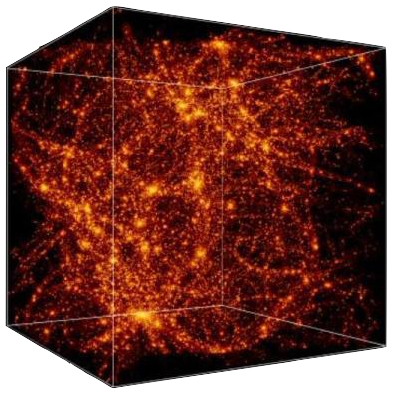 The Andean cosmic web of filaments and nodes was perceived as being alive. Just like blood flowing in the veins, and the nervous system sending electrical information to computational centres at key locations within the human body, their cosmic web flowed with information, data, energy and influence, connecting ourselves and all other things including; animals, plants and trees, rivers, the wind, other people and the stars. 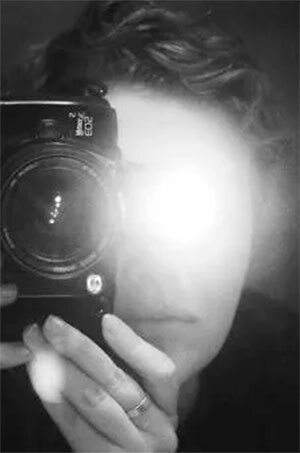 Kay Pacha: the perceptable world of the here and now, where people, animals and plants live. This is the realm where the struggles between the lower and upper Pacha’s were played out. 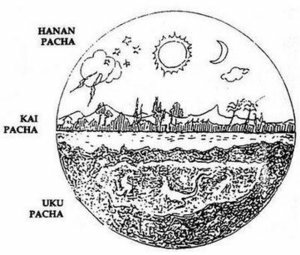 Hanan Pacha: the upper realm of the sky, the sun, moon, stars, planets and constellations. This realm was inhabited by both Inti the masculine sun god, and Mama Killa the feminine moon goddess, and also the Illapa the god of thunder and lightning. After the Christian conquest this Pacha was easily reinterpreted as Heaven. Pacha Uku: the lower, or inner world, was associated with both death and new life, therefore it was closely associated to harvesting rituals. This is where Pachamama the fertility goddess, and a gang of tormenting demons resided. After the Christian conquest of Peru the Pacha Ucku was reinterpreted as hell. Although the three principals levels of reality were seen as individual worlds there were many connections between them. Water springs and caves were seen as conduits between ukhu pacha and kay pacha. Rainbows and lightning served as connections between hanan pacha and kay pacha. In addition, some human spirits after death would remain in kay pacha until they had resolved unfinished affairs, while others passed on to one of the other two levels, up or down. The most significant connection between the different levels was Pachakutiq, a cataclysmic event like a massive landslide or earthquake, when the different levels would all impact one another transforming the entire order of the world. This is when the Golden Sun Disk became the focal point of all the priests in the Temple of the Sun, who meditated upon it sending balancing energies along specific ceke lines to try to harmonise the catastrophic event. The three primary levels of reality were overlaid with another rudimentary spiritual concept called Urin Hanan (duality, polarity and complementarity). The Urin (lower) and Hanan (upper) principal was perceived to have generated a double duality creating 4 seasons, 4 directions and 4 grandparents, which were represented by the sun, moon, land and water. 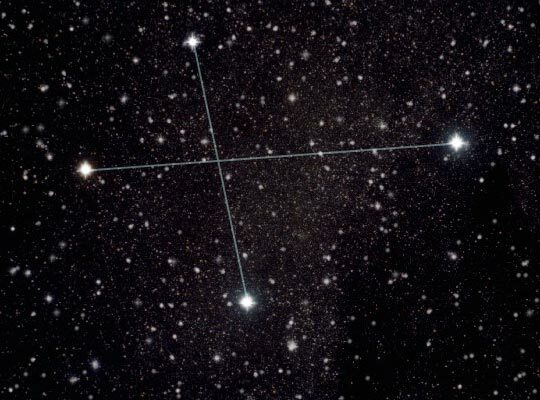 The entire Andean cosmovision is therefore totalled and reflected in the 4 stars of the constellation of the Southern Cross. Over time, Andean symbolic semiotics was developed using the Andean Qellcas or visual codes. These were articulated in the design and the formations of iconographic images, architectural features, statues and monuments as well as other codes, such as Unancha Pacha Qellqa – the sacred geography. Having gained a basic understanding of the mechanics of Andean cosmology, we will now return the the story. 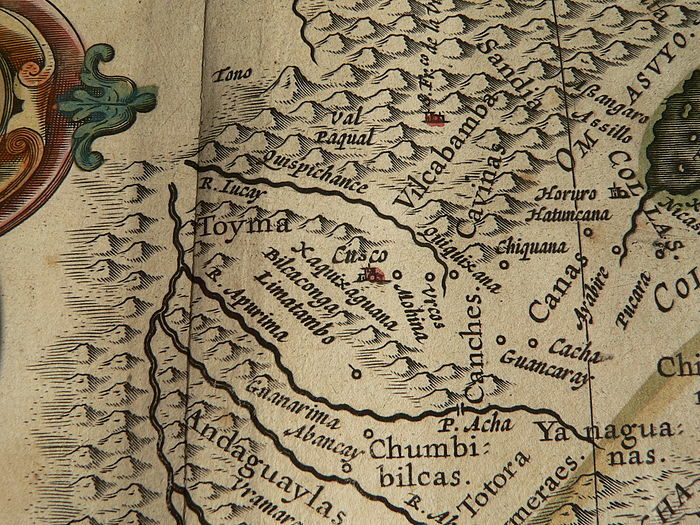 Pachacuti’s symbolic representation of the Andean Universe might also be a star, or a geographic map. 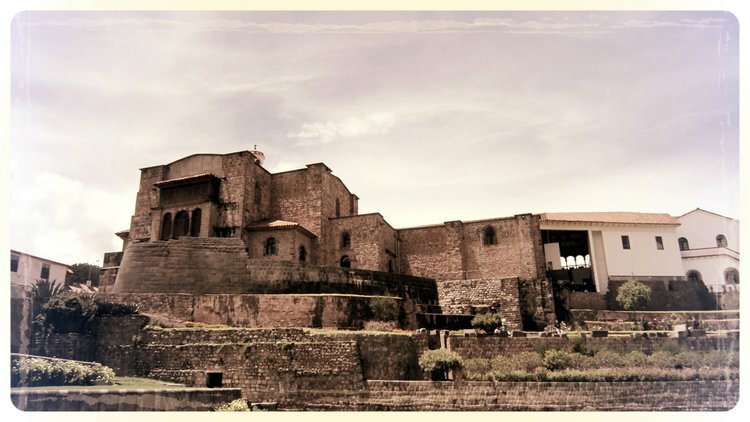 Inca arts, crafts and their architectural style shuddered, but did not cease, with the Spanish conquest of the Andes. Both Christianised Indians and hechiceros constructed numerous churches and if you look closely you can identify Inca iconographic themes within Christian symbols, which was carefully executed so as to escape the censure of the Spanish extirpadores de idolatrlas. This fusion of native Inca and Christian symbology is wonderfully illustrated in an illustration of the altar in the Coricancha Temple of the Sun, by Juan de Santa Cruz Pachacuti Yamqui Salcamaygua, (Pachacuti) the son of a Spanish noble man and an Inca Princess in 1613. Categorised as a Class AA Star Map by Peruvian archaeological authorities, it records the arrangement of symbols that were once displayed on an altar wall in the Temple of the Sun, where the Golden Sun Disc was positioned at the centre. 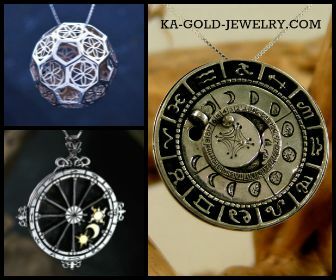 Most experts agree that the design is a star map but to others it’s a geographical map concealing the location of the hidden sun disk. And naturally, a faction of people have it as a prophetic vision of a comet heading for earth, and or, depicting the infamous Planet Nibiru. However, whether it is any or all of these things, is irrelevant to this story. It is a multi-layered fusion of indigenous symbolism syncretised with Christian iconography, testimony to Pachacuti’s understanding of both native and Christian cosmologies. It also tells us that Andean practitioners of the old religion succeeded in achieving effective religious syncretism, meaning the stylised Christian symbols used in new Catholic churches, which had meaning to Catholic viewers, had roots in pre-hispanic religion. This replica of Pachacuti’s diagram stands a meter tall and is on display at the Coracancha religious complex in Cuzco. 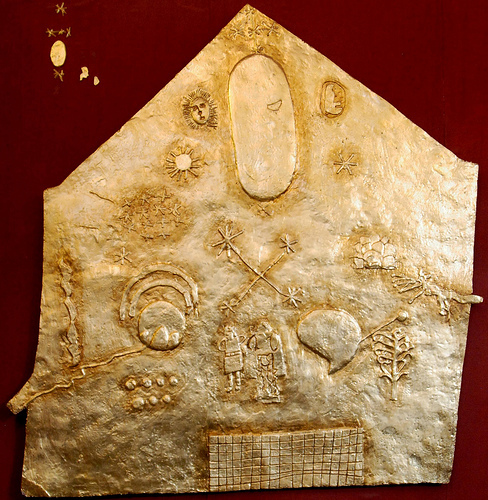 The Pachacuti diagram contains written explanations in Quechua, Aymara, and Spanish and records the shape of the altar in the Coricancha shrine, note that the overall shape of the diagram is that of a gable-end wall in a building with a pointed roof. The iconographic and spatial arrangement of the altar and its environment, in itself, was a material representation of Inca cosmic reality. BEFORE FILMING THE DOCUMENTARY IN CUZCO I GAINED AN INTIMATE UNDERSTANDING OF THE SYMBOLIC ELEMENTS WHICH COMPOSED PACHACUTI’S ANCIENT UNIVERSAL MAP. STOREHOUSE: At the base of the design a rectangle has been subdivided into 119 squares, marked ‘collca pata’. This phrase refers to a grain storehouse or storehouses (collca) and a growing terrace or terraces, the successes of which greatly influenced the Inca’s survival. MAN AND WOMAN: Standing above the grain store are a man and a woman. To Christians, they are obviously Adam and Eve, whom were very popular figures in early colonial art. But to an Inca viewer, they would find significance in the woman pouring liquid on the ground – a libation ritual – which has great importance throughout the Andes and is associated to the male and female principals; Pachamama and Mamacocha. SEVEN STARS: To the left of the man and woman are seven stars, representing the seven Shamanic priests who controlled the ceke lines as they entered the Temple of the Sun. Also, the Inca’s Shamanic ritual system was structured upon seven levels of initiation before students learned the magical knowledge required to control the energy flows of ceke lines. EARTH AND RAINBOWS: Above the seven stars Earth is depicted with three arches. To Christians, this is representative of the mountain range and rainbows which appeared at the end of the Biblical flood. But to Inca’s, the three arches represent the three Pachas, or levels of reality in the Andean cosmovision, and rainbows were thought of as bridges between this, and the upper Pacha. FELINE: Opposite the Earth a feline is depicted pouncing over a growing plant, representing chuqul chincay, the anthropomorphized cat (puma or jaguar). It was symbolic of the apu-kuna or auki-kuna, mountain spirits that affected the fate of agriculture and people and was said to cause lightning, thunder, hail, and storms. In Christianian terms, the lion was symbol of power and control, the transmitter of the word of God (Revelation 5:5). 4 STARS: Above the man and woman are four stars which represent the four points of the compass and the summer and winter sky constellations, upon which agricultural, festival and ritual calendars were fixed. OVAL: T. Zuidema in a 1977 paper suggested the ovoid shape it is reminiscent of the gold disk representing Viracocha, the Creator. According to Pachacuti Yamqui, this golden disk was “affixed to the wall of Coricancha in the same position relative to the man and woman, the morning and evening stars the sun and the moon and the cross of Orion constellation. However, some specialists argue that pre-colonial Andean cultures thought of Venus as “God’s eye” and at the Coricancha Temple the moon and the sun, being placed to either side of the oval shape, identify it as representing Venus. THE SUN AND MOON: Located to the left and right of the oval, these were central features in Andean cosmology where the people worshiped the sun god Inti and the moon goddess Quilla. The sun and the moon were easily interpreted as Christian symbols as they are featured in Genesis. FIVE STAR CROSS: Surmounting the Viracocha oval, a cruciform of five stars reflects the five wounds of Christ, and the crosses which can be seen atop almost all Christian churches. But to an Inca viewer these stars represent the constellation Orion, the orcorara, the three vertical stars of which where believed to lead to the most sacred place in the sky.. Depicted here with a star at either side, this is how Orion is observed as it occurs above a western horizon. 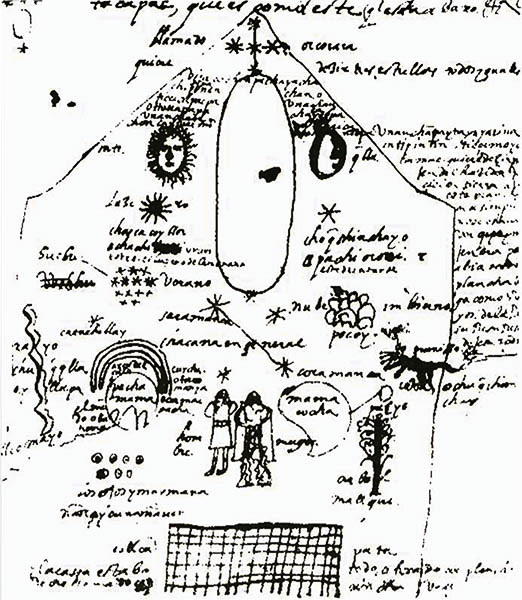 Looking at Pachacuti’s universal map as a whole, some experts have interpreted the sun as representing the Great-grandfather, the morning and evening stars as the grandfather and grandmother, the earth as the father and/or mother, and human beings the children. Therefore, the overall message is that celestial order is embodied in the stars. The terrestrial domain would be indicated by the Pachamama and Mamacocha figures who represent the social sphere of the family. The agricultural sphere might be represented by the ‘collca pata’, the plant and the cosmic cat. Having learned the basics of Andean Cosmovision, after a week in Cuzco inspecting the remains of the Temple of the Sun, our team awoke early and loaded up the 4×4’s. We left Cuzco at 6.00 am and drove past endless lines of spiritual tourists making their way to Machu Pichu. I had the scent of translucent gold in my nostrils and four hours later we were at the base of a mountain range where we met our expedition which comprised of 18 Inca mountain guides with 12 horses. Excellent production the best an fairest awards.